Strain syrup through fine mesh. Discard ginger. When you’re looking for a unique twist on drinks and cocktails, ginger syrup is the way to go. 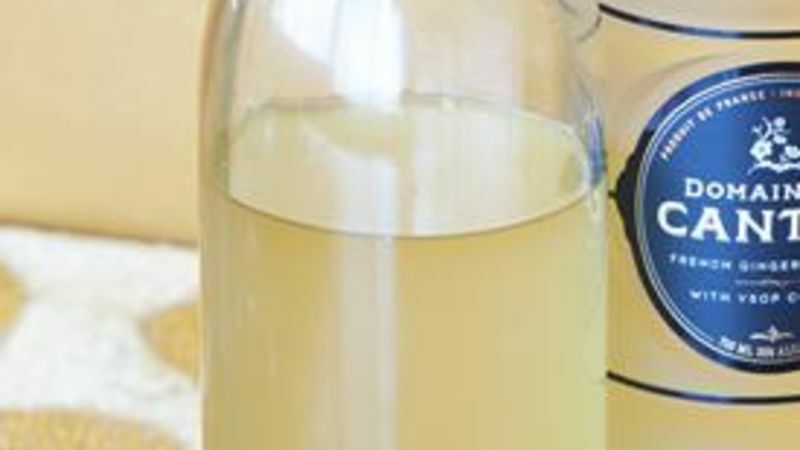 This easy simple syrup can be made right at home using fresh ginger root. And it must be fresh ginger root, not to be confused with ginger powder. Fresh ginger root can be found at any grocery store in the produce aisle. And don’t worry if the root is too large, you don’t have to buy the entire thing, just break off knobs in the amount you need. Then, as the name implies, it’s a simple mix of water, sugar and ginger. Not only will this hold up in the fridge for up to three weeks, it makes for an excellent gift as well. You can buy used glass containers and share with friends. Use it to sweeten cocktails or add to tea or coffee. This spicy-and-spicy balance is a refreshing way to add a burst of flavor and is the perfect syrup to keep on hand at your home bar. Speaking of your home bar, you can find everything you need to craft specialty drinks at home with our recipes.